But the bottom line is, the fitness information merchant lost a sales opportunity because he couldn't keep your attention. He got it initially, but he couldn't keep it. This is a scenario we can all relate to. We've all “been there and done that”. And if you are in online marketing, whether you run an e-commerce store, or a B2B website where your goal is to drive traffic through your funnel by persuading site visitors to download your latest white paper, join your email list, or register for your information-packed webinar, you've been a victim of this behavior by your readers. Today, I want to highlight a very real problem that's costing online marketers like you millions, if not billions of dollars. The problems is this: your audience's available attention capacity isn't growing; the amount of online content available to them is. It's growing exponentially! Not only is the amount of available content growing at a lightning fast pace, your audience is bombarded with other distractions, both on and offline, as well. So your potential audience members, whom you want to become your customers are getting harder and harder to reach. It's becoming more and more challenging to win their attention and to keep it. And keep it you must, if you are going to convert them. Think about this: you can win the “attention getting” battle and drive large amounts of traffic to your site in a number of different ways that are all very useful, including email marketing, social media, SEO/SEM, etc. But what does it matter how much attention you get initially for your online marketing if you don't keep it until your reader converts into your buyer? Today, let's talk about how you can grab and keep your potential customer's attention. Both are critical to your online marketing success. People respond, on and offline to input they view as relevant to them and their situation. And there's a sound physiological reason behind this. Our brains tell us to! We have a portion of the brain called the Reticular Activating System (RAS). They didn't copy you. The red cars were there all along. But you didn't notice them. Now you do, because you have one and you think of red cars as relevant to you. This is a prime example of the RAS at work. You can either work against it and you will fail to get attention from your audience, or you can work with it and gain lots of attention. You first have to understand what your audience views as relevant. To do this, you have to understand your audience. It doesn't matter how much effort you put into your design, copywriting and content. If your audience doesn't want what you are offering, you're sunk. Either offer a different product, or choose a new audience. Here's an absurd illustration that will make a valuable point. Let's say you're desperately trying to win the attention of vegetarians, so you can market recipe books to them. You try to reach them by talking about great recipes and grilling techniques for ribeye steaks. Your copy and design are fantastic. You have beautiful , high quality photos of ribeye steaks nestled on a plate side-by-side with some very tasty side dishes, and on and on. But what's the problem here? You got it. You target market is vegetarians! It doesn't matter how “effective” your marketing is. You won't get their attention to begin with, because they don't want steak! If you're going to market to a vegetarian, or to whomever is in your audience, you have to speak to him in terms that interest him. And what interests him may not be what interests you. You may want to talk about your company and product with the goal of winning your audience's attention. They don't care about your company or product. Their RAS will filter your marketing message, and there's a good chance they'll never notice you. To win their initial attention, talk to THEM about THEM and what's important to THEM. They have a nagging problem they want solved, or maybe they have a cherished goal they want to reach. Either way, they are online searching for help. They want you to help them. They want to find out what you can do for them. If you approach your marketing from this angle, you'll win their attention. You've Got Their Attention. Now Keep It! Congratulations. You've got their attention. They've taken a few steps into their “buyer's journey”, but they still have a long way to go. You've got to keep their attention until they buy. How? In much the same way you won it initially, by giving attention. Continue to empathetically focus on them and their problem. Give them hope that there is a solution. Show them that you have the solution. “Prove it” to them by showing them case studies and testimonials from your happy customers. And only talk about your product to show how it benefits them and to back up the claims you've made about how you can help them. You have to keep your prospect's attention to the very end. If you don't, you lose the sale. So don't let any part of your online marketing “lay down on the job”. 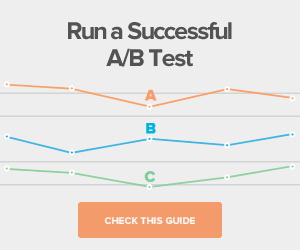 And this goes double for your landing pages. At this late stage of the online marketing journey, you can easily lose your prospect's attention. And chances are he's getting kind of anxious anyway. You're asking him to take his credit card out of his wallet and give you money. Don't be at all surprised if he is subconsciously looking for a way out. So do your best to keep him focused on the task at hand. On your landing page, keep his attention and interest focused by including “proof” of how great a solution your product is for him. Powerful testimonials can help you. And as you've done all along, keep his attention by giving him your attention. Reader-focused copywriting, a hard-to-resist offer and the right images can be very helpful in your quest to convert prospects into customers. 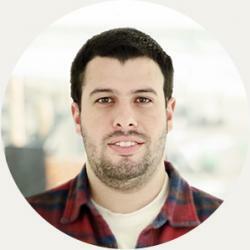 And so can the right landing page platform. 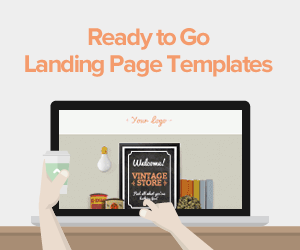 What's the right landing page platform to help you convert more readers into buyers? Lander. 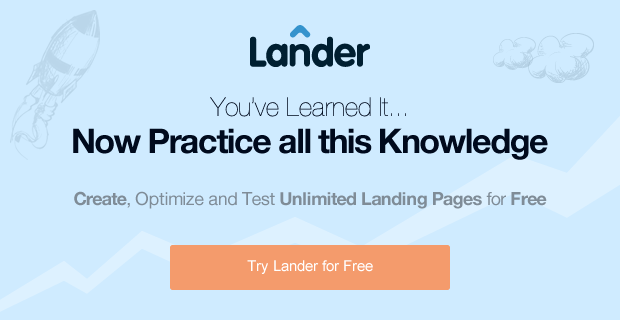 Lander is engineered to help you enjoy a higher conversion rate. It's loaded with features that offer you a tsunami of benefits. 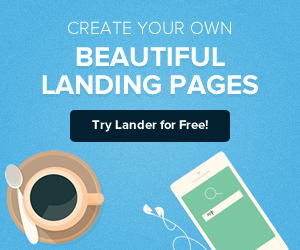 And Lander, the easiest-to-use landing page platform in the Universe, is a breeze to set up and maintain. 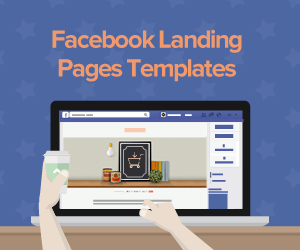 And here's one more “feature” you will love about Lander: You can try any of our landing page templates and rate plans free of charge for up to 30 days! Lander has over 25,000 users in over 132 countries. We'd love for you to join our large and growing family. We'd love for you to enjoy the many benefits they enjoy. So try Lander today!